Six European trade union federations (ETUFs), representing around 30 million workers across the continent decided to address and engage directly with young workers on the continuous challenges facing young people entering the labour market and coming up against increasingly precarious jobs. Europe’s young people have had enough of ‘austerity mode’ – it is time to take back our future and just go for it! 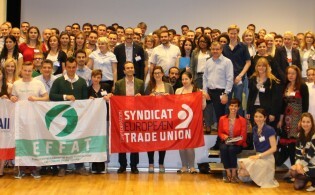 Together we pledge to push the European institutions and employers to put young people at the top of their agenda, and to build the capacity of our trade union members to better organise young workers. For years now, trade unions all over Europe have been first in line to witness dramatic youth unemployment rates and precarious form of employments having a direct effect on the long-term decline of trade union capacity. 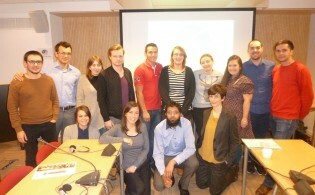 Through this project, valuable insights were communicated to the European trade union federations giving young workers and trade unionists the opportunity to meet, share practices and reflect on recommendations to address the common challenges of young people – workers in all sectors and EU countries mixed. In the EU, the number of permanent jobs is constantly falling and puts a huge pressure on young workers entering the labour market. Rising temporary contracts and precarious jobs lacking any basic social protection is the norm for millions of young European workers. The common point for all sectors and all countries is the rise of the ‘working-poor’. 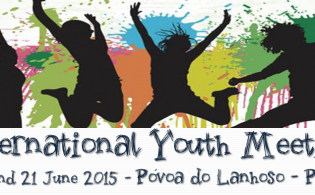 The outcomes from the ETUFs youth empowerment project were diverse. It inspired some hundreds of young people and trade unionists to bring home new ideas and hope for the future of the labour movement, or simply make new friendships. 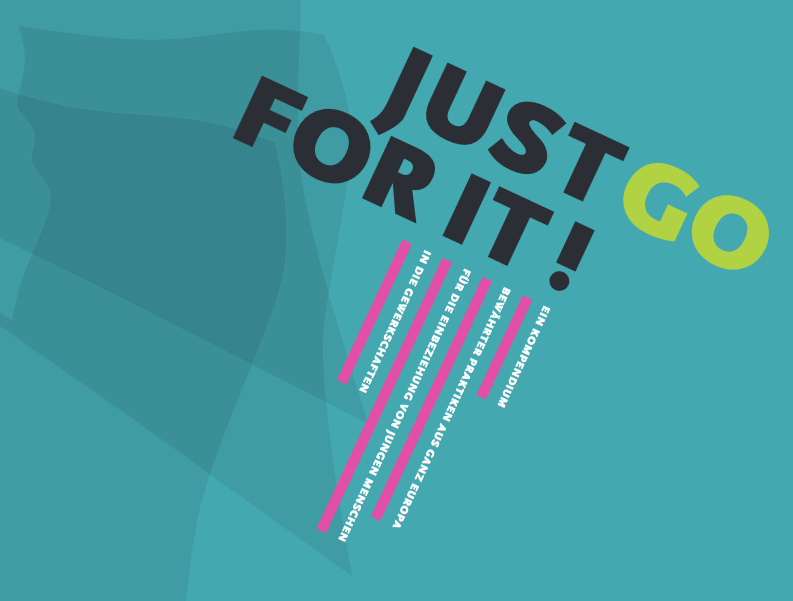 The partnering ETUFs (EFBWW, EFFAT, EPSU, ETF, IndustriAll Europe and Uni Europa) put together a document, ‘JUST GO FOR IT!’, gathering the main lessons learned all over Europe on involving young people in trade unions and sharing an overview of the labour market for young people. This compendium will not give you a magic recipe to address the challenges of young workers, but will provide fairly useful elements for reflection when tackling the issue at home. The only way to take back our future is together!Der einzige Weg, um unsere Zukunft zu übernehmen wieder zusammen !L'unico modo per riprendere il nostro futuro è insieme!La única manera de recuperar nuestro futuro es juntos!La seule façon de reprendre notre avenir est ensemble!